Feds probing dozens of reports of Dodge vehicle "roll-aways"
WASHINGTON -- The National Highway Transportation Safety Administration (NHTSA) has launched a “preliminary evaluation” of approximately 1 million Ram pickups and Dodge Durango SUVs following 43 complaints alleging roll-aways when the vehicles are in the parked position. The incidents have resulted in at least 25 crashes and nine injuries to date, according to NHTSA. Are electronic gearshifts putting drivers in danger? 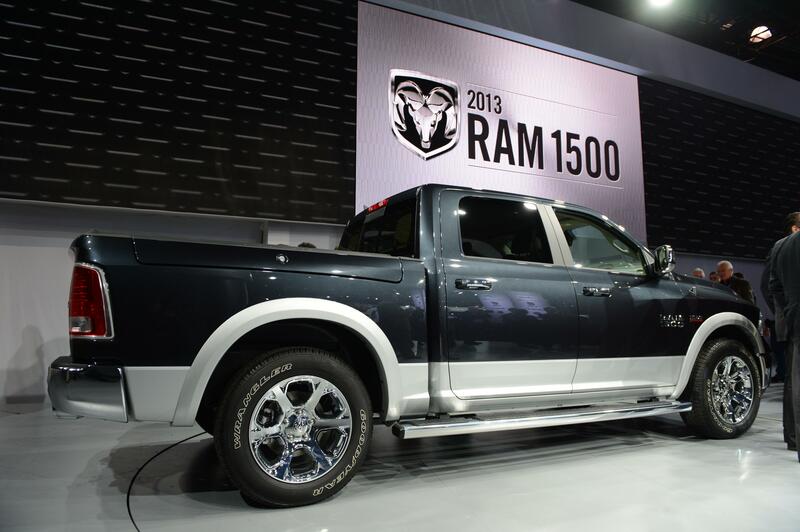 The models being reviewed are model year 2013-2016 Ram 1500 pickups and 2014-2016 Dodge Durango SUVs equipped with an electronic transmission with a rotary control to select gear position. Most of the complaints allege the incidents happen when the vehicle was running, some when the vehicle was off, no reports indicate the parking break was engaged at the time of the roll-away. NHTSA said it is also looking into a small number of unintended roll-away reports involving an estimated 39,000 model year 2012-2014 Land Rover Evoque and 2013 Jaguar XF vehicles. The regulator has received seven complaints about accidents and four reports of injuries. Similar to the Fiat-Chrysler investigation, the Land Rover/Jaguar complaints allege “unintended motion occurred after the driver switched the transmission gear selector to Park with the engine running and after the operator excited the vehicle,” according to NHTSA documents released today. Four complaints say the unintended motion resulted in an injuries requiring medical attention after as the vehicle moved with the driver door still open. One person reported being pinned against a garage wall. The vehicles are also equipped with a rotary transmission switch, similar in nature to those in the Ram 1500 and Durango. The rotary gear selector, a dial, replaced traditional shifters starting in the 2013 Ram and are used by other manufacturers including Ford, Jaguar and Chrysler. In both Ford and Chrysler models, there is a click when you change between gears using the rotary selector, but there is a potential for a learning curve as it’s a different system to that which most Americans have become accustomed. The devises have become favored by automakers as they take up less space in the console of the car, leaving room for other features like larger cup holders or device chargers. Also, both the Chrysler Pacifica and Chrysler 200, both made by Fiat-Chrysler, Dodge’s parent company, have a feature that when the driver’s seatbelt is unbuckled and the driver door is open, the car automatically engages the electronic parking brake. The Ram and Durango do not have that feature. This may sound familiar to the defect we’ve covered at length in Jeep models. About 1.1 million Fiat-Chrysler Automobiles vehicles have been recalled for unintended rollaway issues detected in 2014 Jeep Grand Cherokees and some models of the Chrysler 300 and Dodge Charger. That defect was linked to the death of actor Anton Yelchin. This new investigation by NHTSA is a similar issue, but relating to a different shifter design in different vehicles.